One of the most unthinkable things which could happen to you is losing your own child before their time. The sheer loss felt by a parent who outlives their children, must be massive. 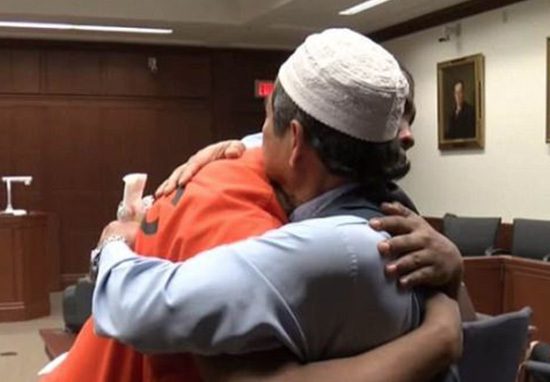 However, the father of a murder victim hugged his son’s killer in court, inspiring onlookers, even bringing the judge to tears with his kindness in the face of such loss. Dr. Abdul-Munim Sombat Jitmoud’s son, Salahuddin, was murdered by Trey Alexander Relford in 2015, stabbing him to death and robbing him while Salahuddin was delivering pizza in Kentucky, US. Dr Jitmoud told the court his son was a gentle, generous and shy young man, who had an interest in rapping, writing and producing his own music. 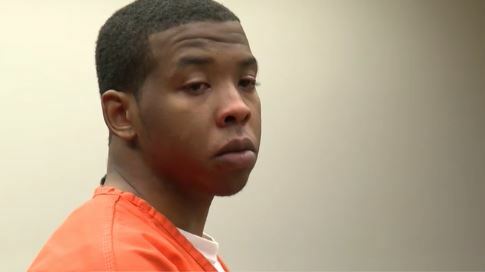 24-year-old Relford, was sentenced to 31 years in prison for his crimes and anyone would fully expect the family of the victim to be relieved at the justice delivered to this man. 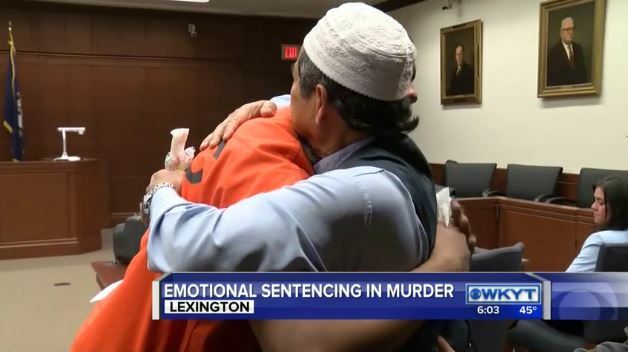 However, Dr Jitmoud instead made an impassioned speech on forgiveness and begged Relford to tell the court who slit his son’s throat, according to WKYT. I am angry at the devil who misguided you to do such a crime. 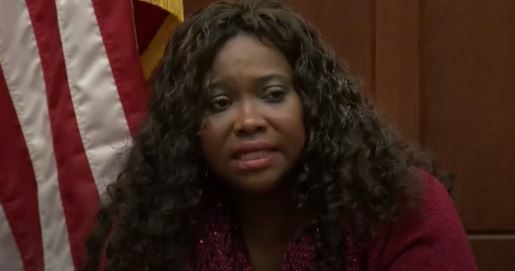 The speech even brought the presiding judge to tears, who called a recess after the speech, wiping away tears in a seemingly emotional state. Forgiveness is the greatest gift of charity in Islam. 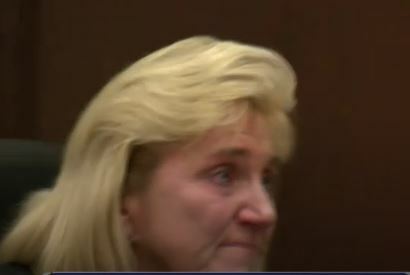 After the court resumed, Relford’s mother took to the stand and said her son had begun abusing drugs around tenth grade. 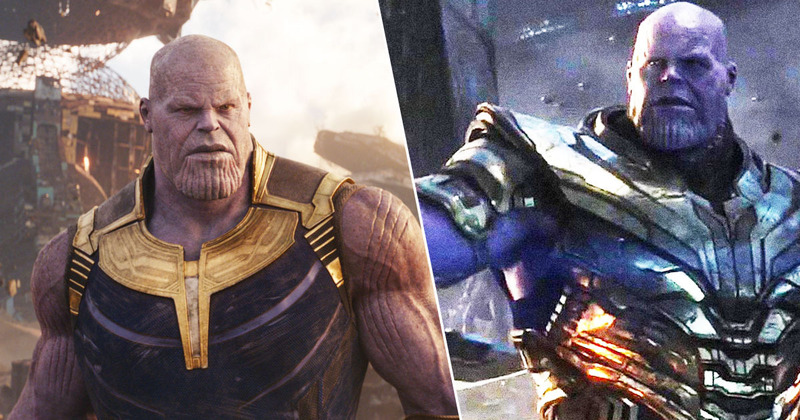 I take total, full responsibility for the loss of your beautiful son. I am deeply sorry for your loss. I am shocked at your forgiveness. There were two others who were originally arrested with Relford for the murder of Salahuddin, though only Relford’s case proceeded to trial. Relford himself took to the stand to speak to the court and to Dr Jitmoud in particular. I’m sorry about what happened that day. I do applaud you because it takes a powerful man to know that someone has hurt them and to get up there and say what you just said. I can’t imagine the hurt, the pain. There’s nothing I can do… I thank you for your forgiveness. When the two men went to shake hands, they ended up hugging, with other members of the two families joining in. 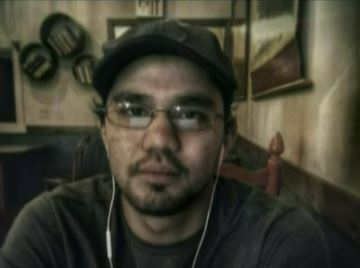 Relford himself claims he had help in committing the crime, but prosecutor Kathy Phillips was adamant all the signs pointed to Relford being the killer. He set up the robbery, he provided the knife, he tampered with the evidence and he’s the one who ate the pizza afterwards. Salahuddin’s mother died in 2013, two years before the murder and Dr Jitmoud now lives in Thailand. Eventually, Relford apologised for his crimes and received his custodial sentence of 31 years in prison. What incredible kindness from this man, we need more people like him in the world. Dr Jitmoud – the highest of blessings to you!